Anyone who knows me, and some folks who follow this blog, and especially my French Fry Diary closely, know that I am a Coca-Cola man. I will always take a Coke over a Pepsi, a Coke over coffee, heck, even a Coke before a water. It's just the way I prefer my refreshment, and my caffeine. The last few years a phenomenon called the Coca-Cola Freestyle machine has come to my attention. Previously it was only available in the south, but recently a few have popped up in many local Burger Kings. I was elated, but not by the Burger King part, but this truly was a reason to go to Burger King. 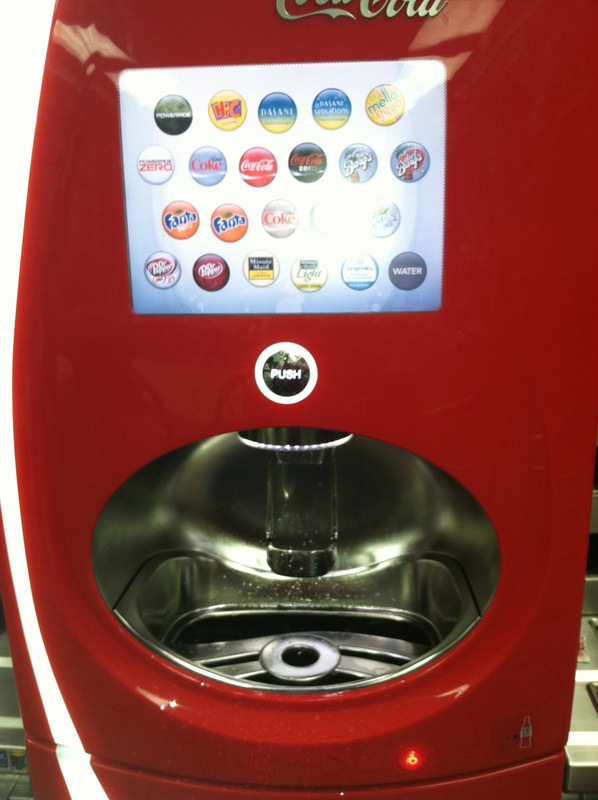 The Coca-Cola Freestyle is a machine, like a thin soda machine, but the features are the alley where the soda is dispensed, and the touch screen above it. The touch screen is where the magic happens. You get to choose the brand of soft drink, it's sugar content and the flavor of it. 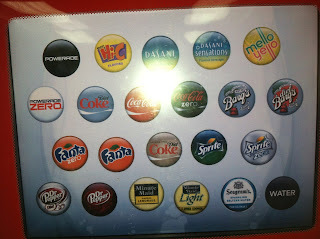 For instance, you can choose from Coke, Sprite, Minute Maid, Fanta, Dasani, Hi-C, Powerade, Vault, Pibb, Barq's, or Seagrams. 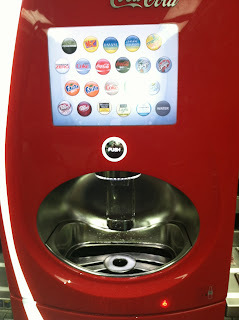 Then you can choose if you'd like caffeine or sugar (the diet soda variety), and then you can even go farther and get your selection in a flavor of your choice like vanilla, lime, lemon, grape, orange, cherry, raspberry, peach, strawberry, lemonade, fruit punch or even cherry vanilla. Literally, if you have the stamina, and are thirsty, and Burger King doesn't throw you out, you could be there all day. Truly Coca-Cola heaven.